With an Introduction and Notes by Sally Minogue The Shirley of the title is a woman of independent means- her friend Caroline is not. Both struggle with what a woman's role is and can be. Their male counterparts - Louis, the powerless tutor, and Robert, his cloth-manufacturing brother - also stand at odds to society's expectations. The novel is set in a period of social and political ferment, featuring class disenfranchisement, the drama of Luddite machine-breaking, and the divisive effects of the Napoleonic Wars. 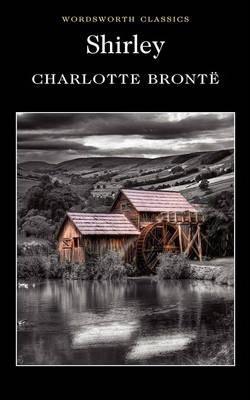 But Charlotte Brontes particular strength lies in exploring the hidden psychological drama of love, loss and the quest for identity. Personal and public agitation are brought together against the dramatic backdrop of her native Yorkshire. As always, Bronte challenges convention, exploring the limitations of social justice whilst telling not one but two love stories.